Aiming to be the best place in the world for people to enjoy science, the Science Museum makes sense of the science that shapes our lives, by sparking curiosity and engaging people of all ages. The Museum's diverse collection of classroom resources - from hands-on activities to films and online games - reflect this ethos by provide inspiring ideas to support teaching about science, STEM and history from Early Years to Post-16. Whether you're looking to generate awe and wonder in your teaching or your STEM Club, the Science Museum collection is there to inspire. We are passionate about creating experiences that bring science and history alive, and our classroom resources have been developed with teachers and students to be fun and promote engagement and discussion. We recognise that TES Connect offers valuable support for teachers and we're thrilled to be a content partner sharing the same mission. It's exciting that our growing range of resources are now much more easily accessible to teachers everywhere. In this race against the clock students work as a team to build the highest tower possible out of dried spaghetti and marshmallows. Futurecade is an innovative online suite of games that allows students to explore how science and technology impacts on their everyday lives. 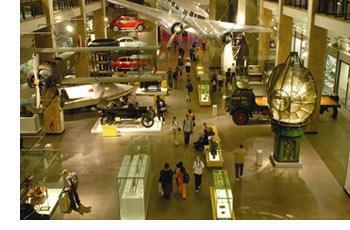 Visit the Science Museum Learning profile on TES to access these great resources.